Hi all:5: I’ve been hearing a lot of talk about cryptocurrencies recently and wondered if anyone here has practical experience of trading them? I’ve been trading forex for years but as for Bitcoin and all that i’m wary still - any info much appreciated! So… is anyone here?! In the last week i looked at exchanges etc myself, and liked kraken, hitbtc and bitstamp as their layout was simpler and people have written a lot about them. Can anyone give me tips to help me choose now? i haven’t parted with any cash as yet as there must be pros and cons to these places and i wanted an inside scoop, so to speak! ANy help much appreciated! All I can say is, choose your broker / exchange carefully. Rather than trade bitcoins directly, you might be better protected by trading bitcoin CFDs with a licenced broker. A friend of mine traded > 100.000 euros equivalent of bitcoins with bitstamp. He got his money out because the broker was in Russia. He is back into Forex now. If your comfortable with the potential for extreme volatility and uncertainty, than crypto currencies are your weapon of choice. Found a thread on bitcoins with a couple of suggestions. Best of luck! Bitcoin is a revolution, but the swing trading game is a dangerous one. Most people who try this will lose more money than they’ll make, or at the very least they’ll make less money than if they had simply bought and held for five years. Tread carefully. i would suggest Bitfinex. I’ve also used BTC-e. BTC-e is ok. They do have more volume than Bitfinex. If you wanna trade “altcoins”, which are even newer than Bitcoin, you can do that at Bittrex, cryptsy, or poloniex. Altcoins are really interesting. They are the most volatile asset i have ever seen. There is alot of insider stuff going on with them though, so you should be on twitter talking to people about what is moving that day. The top altcoins are litecoin and darkcoin. There are literally over 1000 of them now. I’ve followed the bitcoin/altcoin market for quite a while now, I was also in the mining business for almost half of last year. Indeed the crypto market esp de altcoin market is very and I mean very volatile/ it’s not that liquid at all so the moves can be influenced very easily by investors willing to gamble sth like in a couple of thousand dollars range. The BTC is much more steady but going slowly downwards/ I remember last year in April, the price was somewhere between the $600 range now it is stuck at $250. At that time, it was still profitable to mine - not necessarily BTC but other altcoins - but now unless you have free electricity, you don’t stand a chance. I follow closely XMR aka Monero altcoin which has great potential on the long run but you can also profit from the short-term swings if you know how. One rule of thumb for those who want to try the crypto market: the technical analysis is pretty much useless from what I’ve seen, there are other factors you must consider before making a decision to go long or short and keep in mind that a small speculator can pretty much influence the market. i think your pretty much spot on with what you said above. I do use some TA with the BTC market, but not with altcoins because it’s so heavily manipulated and they are such small markets. Altcoins are really interesting though. I’m curious to see what that turns into in the next 5 years or so. I had a 800% gain on one altcoin. I have tried BTC-e and I guess bittrex is also good, agreed with the altcoin fluctuations. BTC also have a fluctuation of 5 - 15 $ daily. BTC, Dash and Ethereum is on top now a days and with every coming day a new coin is released in the market. A cryptocurrency is a medium of exchange designed around securely exchanging information which is a process made possible by certain principles of cryptography. The first cryptocurrency to be created was Bitcoin in 2009. Since then, numerous cryptocurrencies have been created. I trust Kraken. Though they don’t have any currency pairs for some of the rarer cryptocurrencies - e.g SysCoin, UmbrellaLTC, MyriadCoin, etc - but the Bitcoin, Litecoin, Ethereum, and Dogecoin currencies are traded there. For trading in the rarer, perhaps - in ways - ephemeral cryptocurrencies, there’s also Bter. So far as trading platforms, there is one TabTrader app available on Android. The biggest issue out there at the moment when ‘trading’ bitcoin is the lack of knowledge people have in the space. Bitcoin has long been seen as a very volatile currency and thus is attractive to traders. However, the volatility in bitcoin is becoming a lot less prominent as it gains more mainstream traction and more developments happen in the space. The investment opportunity is far less risky and offers a lot more to gain considering the reduced risk. If short term trading is your thing then continue with that if it is working well for you. However, if trading is not your thing or if you are open to a medium term investment in bitcoin than it is worth learning more. Once you truly understand that bitcoin is not just a currency and the use cases for bitcoin are almost endless, the gain you can make from trading will become minuscule to your eye and you will see by holding bitcoin for a short while whilst events pan out in the space, you have the potential to gain far more from being involved in the space. Personally I am investing in bitcoin, not trading it for the reasons I stated and I advise people reading this to consider the same. Investing in bitcoin can be rewarding as the bitcoin price has showed significant improvement during the last few days. For those who are willing to know more about bitcoin should ask question on babypips bitcoin forum or they can also read about it from bitcoin.org too. Yes I am using bitcoin for foreign transactions, And its actually convenient for me nowadays to send or receive money. 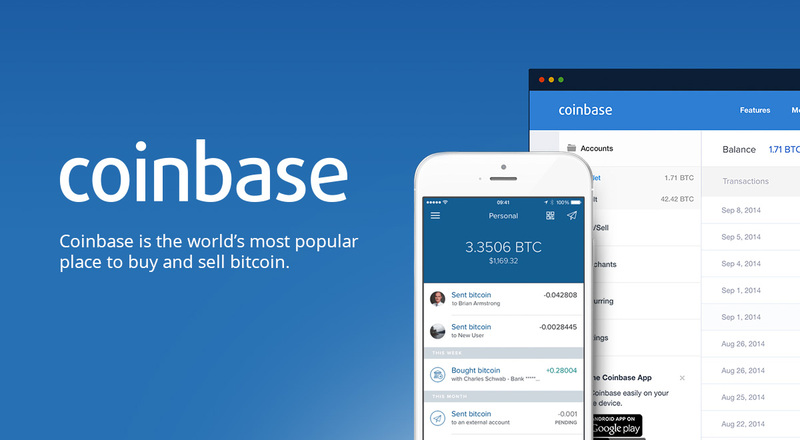 Coinbase is probably the most beginner friendly way to buy bitcoin. Despite countless exchanges for cryptocurrency specifically, Bitcoin; Poloniex still remains a leader. It has been surviving in this industry holding endless features that traders always search for. Poloniex prides itself for providing advanced trading functionalities and maximum security.